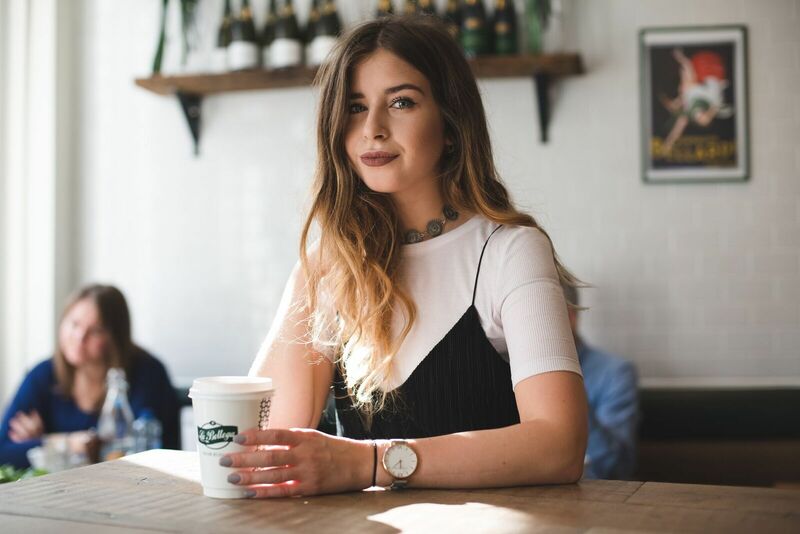 I wanted to share a few things I've picked up lately from my favourite high street shops. I'm needing to refresh my wardrobe as everytime a new season comes around, I tend to have a minor fashion breakdown and decide I hate 90% of my wardrobe. Following the sudden spurt of sunny weather in London, I've realised my existing summery clothes just aren't sufficient - such a fashion student problem. I've been on the search for summer clothing lately and since booking my trip to America (I'm heading across the country from LA to NY in June/July!) I've gotten a little too excited for the thought of long days in the sunshine. I've been particularly inspired by aztec prints and southwestern America when picking out these pieces. 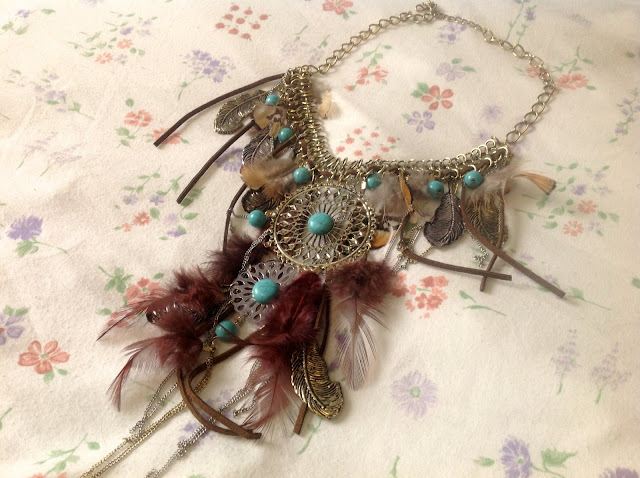 Firstly, I saw this feather dream catcher necklace in Primark last week and just had to have it! Although admittedly a little pricey for Primark (£10), I knew this was a great investment piece that I'd be wearing all summer long - plus its so pretty! I love the textures and the splash of colour with the turquoise beads, a very good purchase I'd say. It seems for the past few summers, I've had a borderline obsession with aztec print (as you can probably tell) - I just can't get enough. I first spotted this jacket in Topshop as part of a two-piece skirt suit and originally planned on buying both pieces. However as much as I love the matching print on the skirt, I'm not really a fan of the box pleats, giving it an unflattering shape on myself. 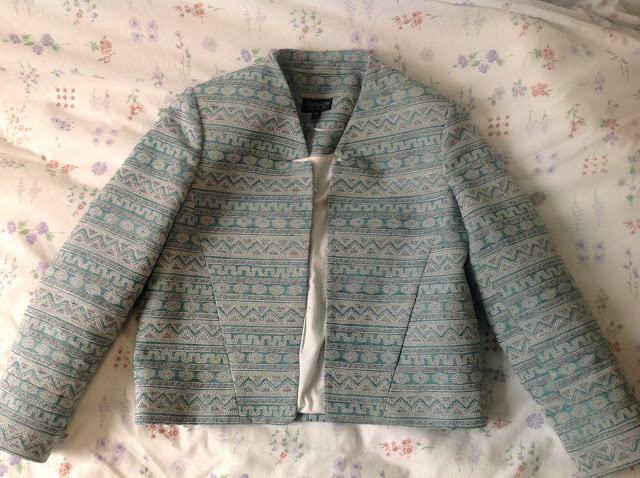 The jacket, on the other hand, is a lovely tailored piece I can wear to dress up jeans or smarten up a look for my internship. I was lucky enough to bag this jacket for a third of its original price on eBay - only £20. I literally find it so satisfying getting eBay bargains! Continuing my theme of aztec print, I bought this cute skater skirt from Forever 21. Although F21 is probably targeted at a customer a little younger than myself, I still think they have a fabulous range of clothing and accessories. The white peplum top is actually a vintage tennis top/dress. Last time I was home, my Mum gave me it and I haven't stopped wearing it since. I love the texture and the flattering shape. Its the perfect piece for SS13 hitting the tailoring and monochrome trends. 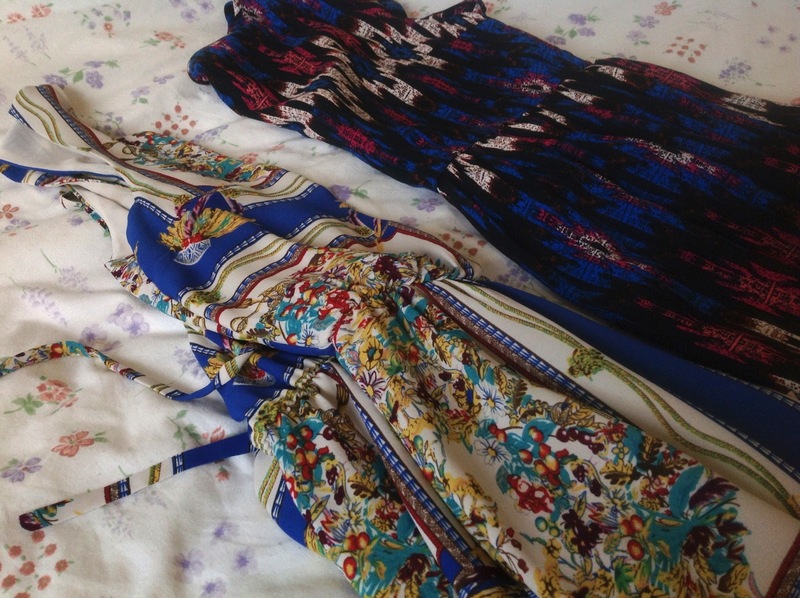 Lastly, I bought this scarf print maxi dress on uniform at Oasis. I often struggle to choose uniform because a lot of the clothes aren't particularly my style, but I loved this maxi dress as soon as I spotted it in store. Its got gorgeous cutout detailing on the back and leg splits - I'm sure I'll be featuring it in an outfit post soon enough so stay tuned! 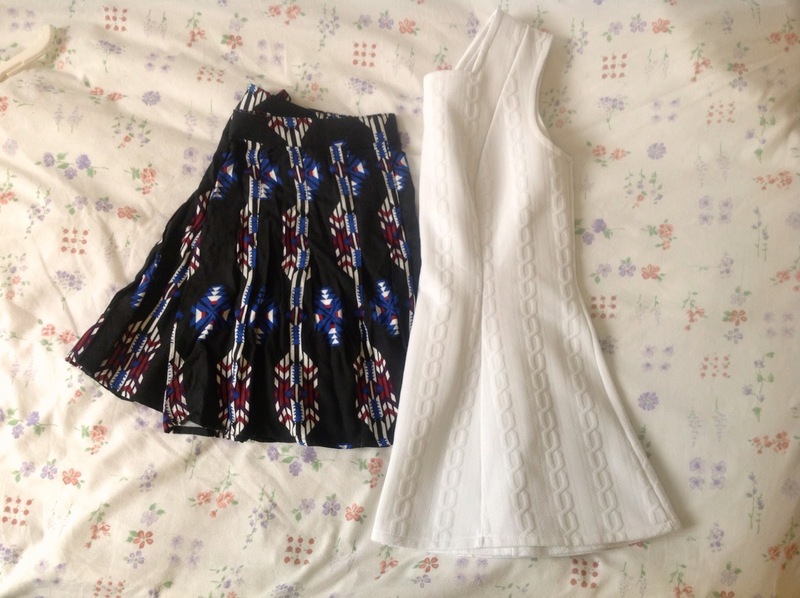 This aztec skater dress is another item I picked up from Primark. I figured it was an easy throw-on outfit - plus I love the graphic print and colours! What did you think of my recent purchases? 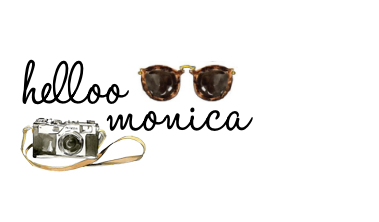 I'll hopefully be featuring some of today's items in outfit posts soon and in the meantime, remember to follow me on Twitter and like my new Facebook page! Gorgeous items, LOVE the necklace!! You grabbed a right bargain off eBay! OMG! That NECKLACE! Totally jealous lady!